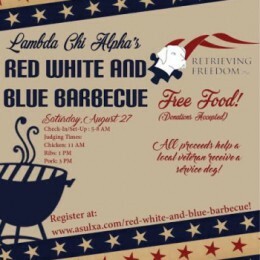 Please Give Support to Retrieving Freedom, Inc. - We can Always use Your Help! 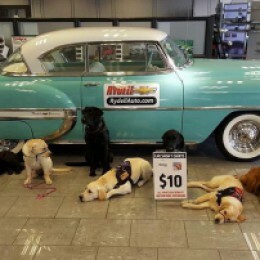 Producing and placing the best possible service dogs, is expensive! Contributions are needed to help cover the costs of training and caring for the dogs. Retrieving Freedom is striving to increase production while maintaining the highest degree of quality in our service dogs. Monetary contributions are the number one need, but there are other forms of assistance that help Retrieving Freedom complete its mission. 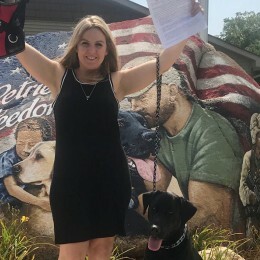 Retrieving Freedom, Inc., (RFI) depends on your support to help us train and place dogs to allow a new degree of independence in the lives of our recipients. There are many ways you can help by donating, one being through your will. Download a PDF for examples and more information on how to do so. 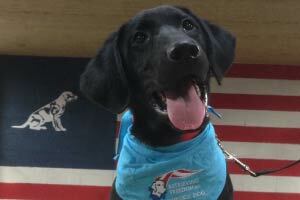 Can you imagine helping fund an 8 week-old puppy through two years of rigorous training to become a service dog for a veteran or child in need? It can truly be an inspirational experience for you and your employees. 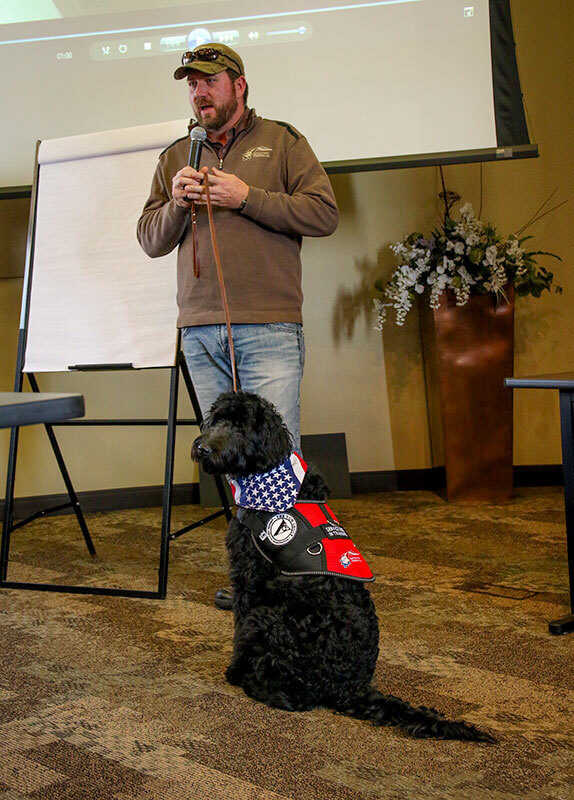 In our support of 21.8 million veterans and 3.5 million families living with autism, Retrieving Freedom is encouraging you to become a Corporate Sponsor of a service dog. 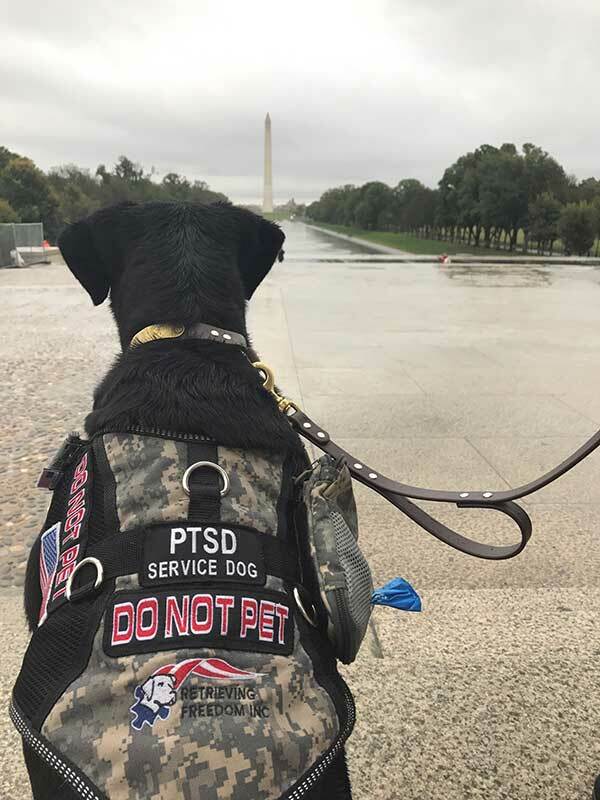 Retrieving Freedom, Inc. (RFI) is a 501(c)3 non-profit corporation that trains service dogs for placement into two markets: Veterans with disabilities and children with autism. 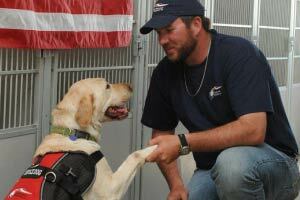 Retrieving Freedom breeds and trains dogs with the specific traits required for the duties of service dogs. Specialized schedules are created for each dog throughout the 24 months needed to train a service dog to RFI's standards for a successful placement. RFI’s training is tailored to meet the precise needs of the person with whom they will be placed. RFI is not a “one dog fits all” type of organization. Training expenses, housing, veterinary care, and certification fees are some of the costs associated with raising a puppy and training him to serve the needs of a disabled person. 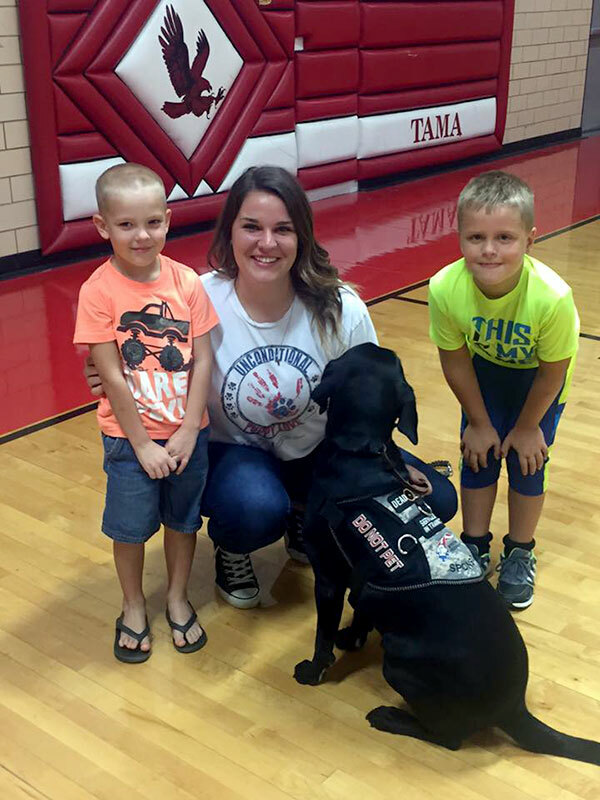 Many recipients choose to fundraise a portion of the total cost of their future service dog, to help off-set the cost to Retrieving Freedom as their way to give back to the organization. Most of the funding comes from generous individuals and organizations who are able to make a meaningful change in someone’s life. 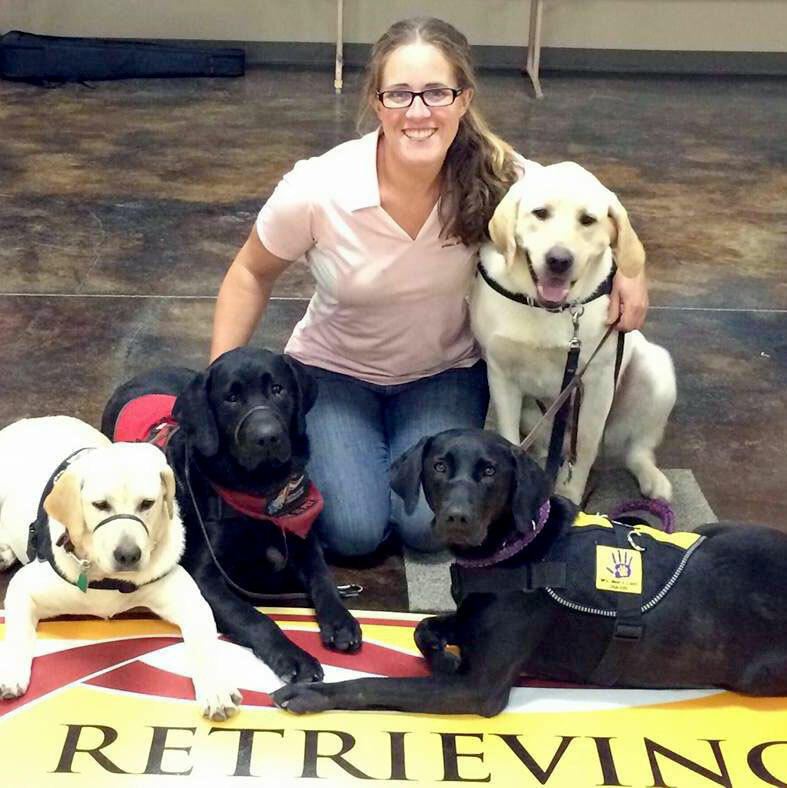 Retrieving Freedom has numerous volunteers spending endless hours over the two-year training period to help prepare these dogs for the difficult tasks ahead. Your generous Corporate Sponsorship would augment all of these efforts. Our Corporate Sponsorship Program Entails Two $5,000 Annual Payments. A co-written article to be shown on RFI’s website and distributed to other media sources about your company’s desire to help our mission. Several photo opportunities of the puppy at your business. 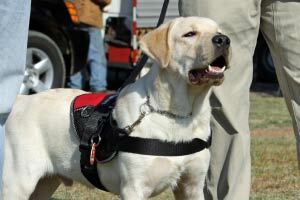 A service dog training vest will be embroidered with your Corporate logo to be worn by the RFI dogs in training. A similar vest will be made and placed in a shadow box with a picture of the dog to hang in your place of business. Pictures and updates on the dog’s progress in training. This includes an introduction to the recipient and an invitation to the graduation and or placement of the dog. We want your Corporation to share in the accomplishment. We encourage you to participate in this amazing journey. The impact to the life of someone in need, embodies the charitable spirit in all of us. If you have any questions on how you can help, please don't hesitate to contact us or view our Corporate Sponsor FAQs. Giving Monthly is the easiest way to make a difference in the life of a disabled veteran or for a family with a child with autism. 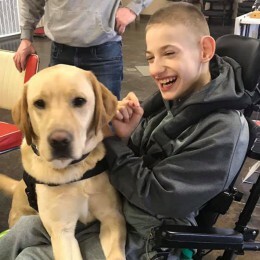 Your monthly contribution will help cover the expenses associated with the total production cost of this life-changing and, oftentimes, life-saving, trained service dog. These costs can can be upwards of $25,000 per dog. Will you join us and become part of the Retrieving Freedom team to help produce as many of these wonderful, life-changing dogs as possible? There are Several Levels of Monthly Giving that can Fit Anyone's Budget! For your convenience we have put together some of the most commonly asked questions about how our program works. Of course, if you have a question not covered here, please feel free to contact us. A: It's so easy! Please just call 319-505-5949 If we receive your change prior to the month's processing deadline we can make the change effective for that month. If not, it'll take effect the next month. A: Of course! Just call 319-505-5949 Your cancelation will take place the same month, or the following month, depending upon when we receive your call. A: Monthly charges occur once per month. Your first online gift will be charged to your card on the date that your transaction is made. If you prefer to give by phone, please call the Iowa location at 319-505-5949 . Getting our puppies off to the right start to become a service dog is one of the most important stages of our program. We are looking for dedicated individuals and families that can help with the first 6-8 months of the puppy's life. They will need to provide a loving home, public socialization, and begin the basic training process. Experts from Retrieving Freedom will be there to help throughout the entire process with training classes and open communication. 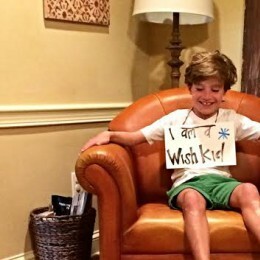 Being a foster home will be one of the most rewarding experiences that you and your family will ever be a part of. So Many Ways to Make a Donation ... to Make a Difference! 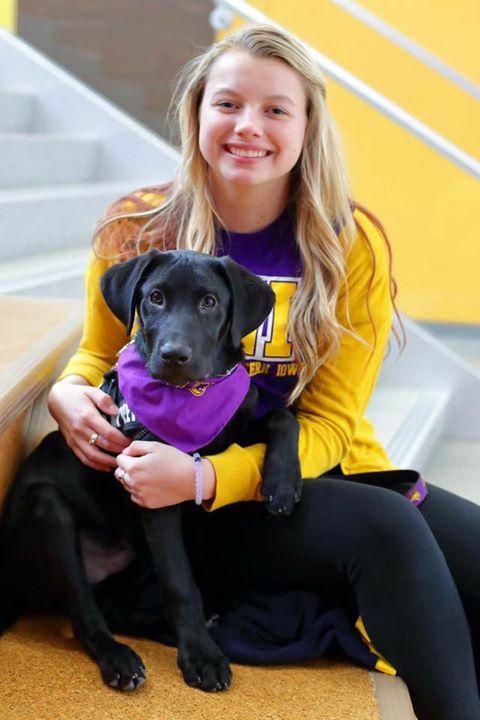 Whether you can make a financial donation, donate supplies, donate your time, or volunteer to foster a puppy for our service dog program, Retrieving Freedom appreciates your support.